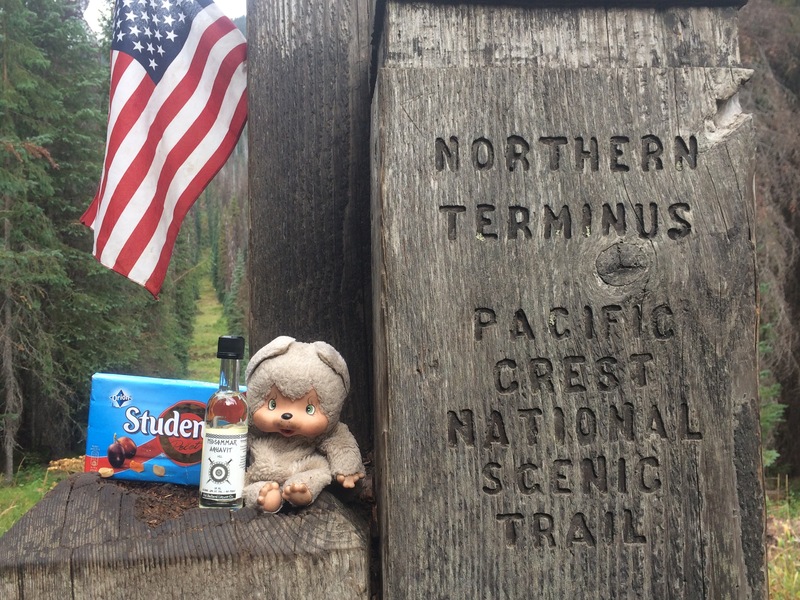 The Northern Terminus of Pacific Crest Trail holds a monument similar to the one we saw five month ago at Campo, CA. The monument sits in a clear cut in the middle of a forest. One side of the clear cut holds a sign Pasayten Wilderness, the other Welcome to Canada. Dave and I did not go to Canada. Neither did Jonathan. After taking few photos and having a sip of a Swedish solstice liqueur I got from my friend Catrina, we said good bye to Andrea who continued to Manning Park and then we turned and headed back to Hopkins Lake. It was nice to slackpack for once. The six miles, all uphill were a breeze with a light pack. At the lake we loaded the rest of our belongings and continued our now 25 mile hike out to Heart’s Pass. 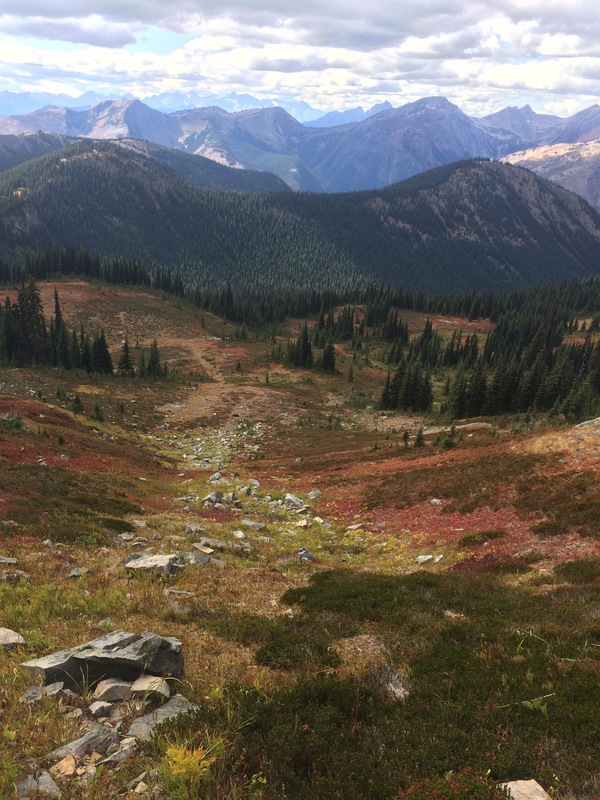 The landscape was beautiful with prominent fall colors. Fall could’ve been felt in the air as well. After morning shower, the sun broke through the clouds in the afternoon but the air never quite warmed out and every time a cloud covered the orb, it was straightforwardly cold. It was a long day for us, over 24 miles, and quite a lot of elevation gain too. Tomorrow we have about 14 miles left before we leave the trail once and for all. Or will we jump back to complete the 580 miles we missed due to snow and dangerous river crossings? That’s a question we still haven’t quite decided for ourselves. 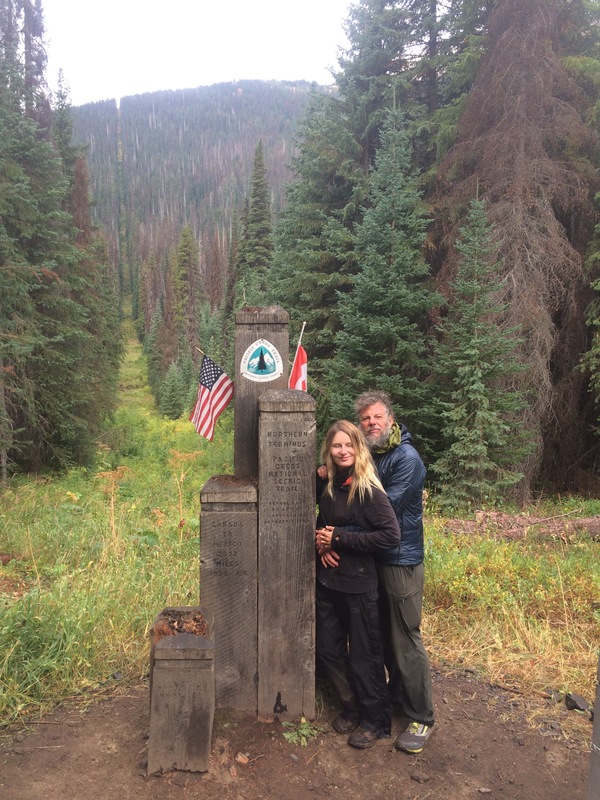 I’ve enjoyed reading along and viewing your pictures of your 2000+ mile PCT hike (wow! ), thanks for sharing! Congratulations!!! I’m a little sad that it’s over since I’ve really enjoyed following your journey and living vicariously through you, ha! I cannot imagine how you must feel about it – happy, sad, relieved? But what an accomplishment! Well done my virtual friend! Well done! I’ve enjoyed reading about your journey. If you head back and do the section you missed, it would be fun to meet up in Yosemite, my backyard. 🙂 Congrats! Congratulations! So happy to see you made it to Canada, what an achievement. Well done to you and Dave.